Discussion in 'Retail Refillers Forum' started by berserk, Jul 3, 2018. 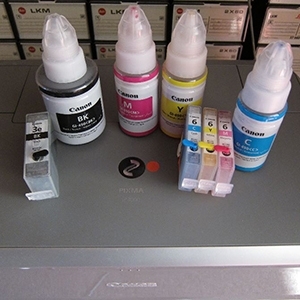 ...to make OEM-cheating inks that is compatible to use with the the OEM-profiles. OK - lesser colorspace/gamut but how do they do that? Some also say you can replace use one OEM-cheat ink with the OEM-one and go on without profiling. OK - such odd questions come to my head now and then - how do they master that. Measuring swab tests with I1Pro2 .... but hallo... they should later be able to later mix with one another properly.... to fit that very OEM-profile. He he - are OEM cheat ink producers - real cheaters as well? Perhaps this third party things are to be taking up on my next session on the sofa. You see - I shouldn't bother! Cheater are good and educated people that serves us cheaters as well. IS Cannabis legal in Sweden as yet. Looks like you're having a good time! The Hat and Ink stained Fingers like this. Was my question that bad? No Cannabis here and a no no for me. Thought I wanted some education. Here we drink heavy strong mead as hell instead during our berserking sessions. Not to forget those tiny bits of added red mushrooms. That's good enough for me to unclogg and rinse my head.